LVFD is excited to host a rural water supply drill at our station on Sunday, May 6th beginning at 0730. The training opportunity is open to ANY department regardless of their location. Attached is the official flyer. Download pre registration form, this is required for any attending apparatus and crews. 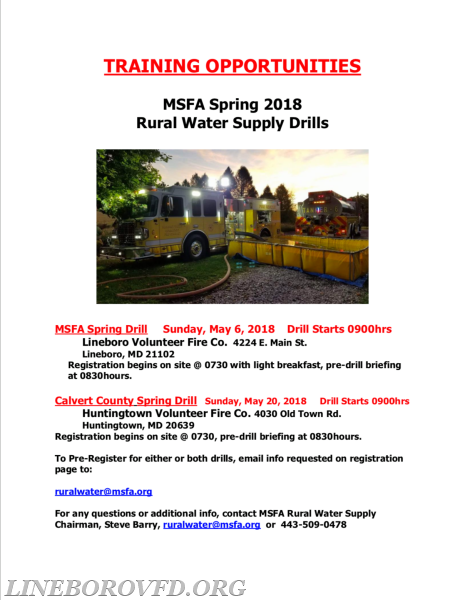 Email completed registrations to ruralwater@msfa.org. Questions can be directed to our Facebook page or our station.